A nascent commercial quantum computer has arrived at Los Alamos and may solve certain problems with such astonishing speed that it would be like pulling answers out of a hat. The world’s first commercial quantum-computer processor is smaller than a wristwatch and can evaluate more possibilities simultaneously than there are atoms in the visible universe. 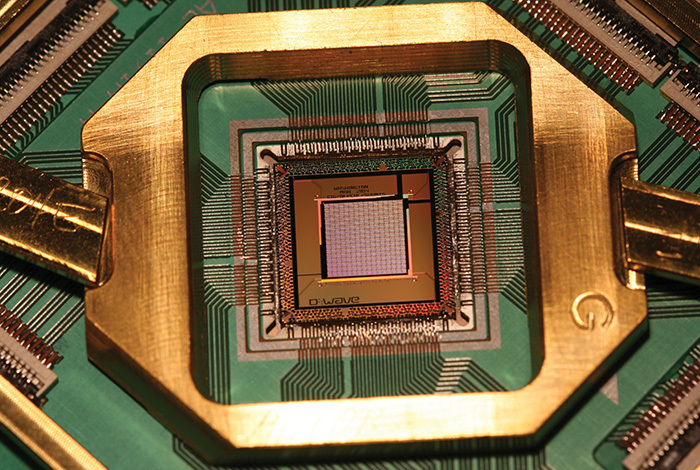 CREDIT: D-Wave Systems, Inc.
Quantum computers have long been on the horizon as conventional computing technologies approach their physical limits. While general-purpose quantum computers remain on the horizon for the time being, a special kind of quantum computer already exists and could be a game changer for simulation and computing tools in support of Los Alamos National Laboratory’s mission of stockpile stewardship without nuclear testing. It may also enable a slew of broader national security and computer science applications. But first, it will undoubtedly draw a vibrant community of top creative thinkers in many scientific fields to Los Alamos.